National Wear Red Day was this past Friday- a perfect day to reflect on stroke, heart, volunteering and life in general. 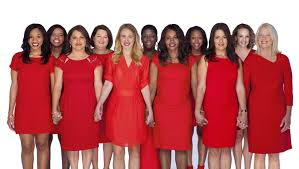 National Wear Red Day brings me back to 2015 when I was serving as a National Spokeswoman for the Go Red for Women Campaign. That role of being the face and story of stroke for women around this country was such an honor. 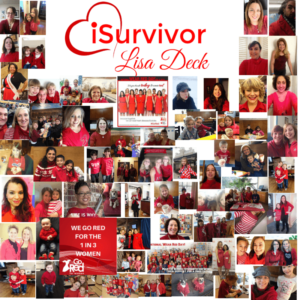 That was the year that I took initiative and created my Isurvivor page (www.facebook.com/ISurvivorLisaDeck) . My goal- then and now- was to share messages that promote wellness, good health and living actively with stroke and heart disease. Little did I know that it would lead to a new challenge of a fourth stroke and two brain surgeries. I still think of this day three years ago when my advocacy and volunteerism jumped to a new level. I’ve been in a lull this past month but looking at these memories reinvigorate me! 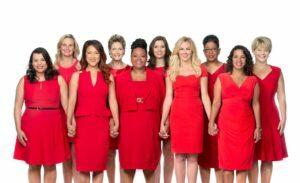 As part of the Go Red for Women campaign, I became a member of a group of strong, passionate, dedicated women with whom I instantly bonded. We connected because we share similar life-threatening experience. Yet, each of us is here today sharing our story and living full, long and happy lives. Social media has enabled us to maintain close relationships- especially considering we are spread around the country. We gain a new class of #heartsisters each year. On this special day every year, I love sharing in and seeing all the cool and amazing things my fellow volunteers and advocates are doing. I have been blessed by close knit relationships from many phases of my life. 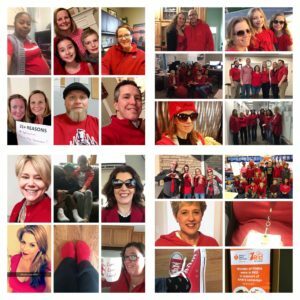 Seeing family and friends donning their red outfits in support of my cause truly warms my heart. Sometimes it’s a needed reminder of the support and love that surrounds me and my family. This feeling extends to my community elementary school where my son attends school. Each year they host a Wear Red Day and even raised over $400 this year the American Heart Association. How cool! Dates and special days are important to survivors. Wear Red Day gives me an opportunity to reflect on all that has happened in my life and feel blessed. I’m never quite sure what to do to acknowledge the day but volunteering this year sure seemed like a good option. I was asked by one of my favorite advocacy directors to assist her at a Tobacco Free Kids conference. Our goal was to collect reasons from teenagers to change the legal age to buy tobacco to 21. It was enlightening to see a group of teenagers engaged in a public health campaign. Spending the day helping also made me feel good inside. My husband and kids are what I fight for as I battle my health challenges. They are who I want to learn the values of good health and a healthy lifestyle. They are the ones I want to teach about volunteerism and giving back. And they are my loves that I get to share my challenging, messy and awesome life with! Some days I just want my old life back. I know that everything happens for a reason. And while I usually fully embrace this theory, it doesn’t mean that I don’t sometimes go kicking and screaming against it. Emotionally, my bucket runs over. Even though my bravery, courage and strength were challenged by my health, today I have meaningful connections with others, I live my life filled with passion, and I am open to life’s many possibilities. Physically, I am frustrated where I am. I had a Trans-Ischemic Attack (TIA) two nights ago. We were told that these can occur post- surgeries and they did. I suffered three within the month after my surgeries- and haven’t had one since. Out of the blue on Monday night, I had trouble reading the first sentence of Zack’s book. 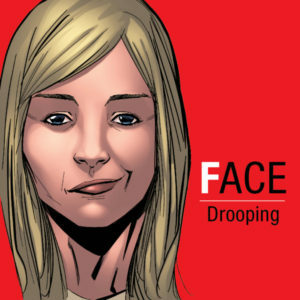 My face then went numb and then my left side felt heavy. I called Brian who helped me calm down. I think I started panicking which resulted in heart palpitations. I moved to my bed. He handed me a Xanax and I worked at calming down. The slight numbness remains still two days later. We played the why game…was I dehydrated due to the temperature change? Did I do too much last week between DC advocacy and Girl Scout camping? Was it a blood pressure issue? Were my emotions running to high? Is something majorly wrong? Post TIA, I feel like I have been hit by a bus. I have been exhausted so have been sleeping whenever I can. I feel dehydrated so I keep drinking water. And I have this headache that won’t fully subside. Even as I write this, it worries me…so I turn to my husband. Fortunately, Brian is calm and reminds me that the surgeons said this could happen occasionally. I recall how many fellow Moyamoya patients suffer TIAs often (I read on our FB page) but I still didn’t expect myself to have them. I don’t know if it was positive thinking or naiveté but I planned to go TIA and stroke free forever. But that isn’t the case. Today, I am frustrated. I just saw a photo from two years ago and I miss that Lisa. The Lisa that was physically in the best shape of my life, 25 pounds thinner than I am today. The Lisa that was regularly physically active without fear. The Lisa that had finally figured out a goal with ISurvivor and serving as a National Spokesperson. The Lisa who could parent easily and without worry that I’m scarring my children from my surgeries. I know it’s okay to wallow at times, and getting it out on paper helps me. So now I try to remember the positives of the 2015 Lisa. The 2015 Lisa didn’t know that her brain was at risk of a stroke. 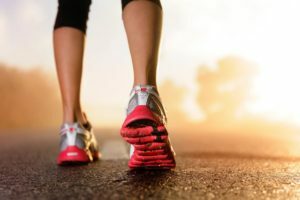 The Lisa who didn’t remember how therapeutic and healing it felt to journal and share her story. The Lisa that fell back into the busy rat race of life and forgot to appreciate the little things. The Lisa that didn’t remember how strong she was until she was forced to find out. So I need to move forward. I can’t get old Lisa back but can work to gain the parts I want. I just hate that I’m physically scared to move forward with exercise, diet, etc. I want to get it back but can’t seem to get past that fear. Fortunately, I am an ever evolving project. As always, thanks to those of you who read this and support me. This past Sunday was a momentous anniversary for me- the 20th year anniversary of my first stroke. TWO DECADES!! It’s wild. 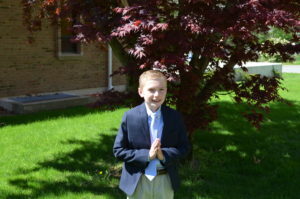 While it was heavy on my mind, I didn’t focus on my personal situation on Sunday since it was my son’s First Communion. I couldn’t think of a better celebration/distraction than his special day. And it was lovely- a beautiful day of faith, hope, grace and love. And in that way, as I look back, this dreaded day twenty years ago was also filled with faith, hope, grace and love. I still think about May 7, 1997 with a myriad of emotions… sadness, regret, unrealized dreams, and lost opportunities but also gratefulness, appreciation for life, deep emotional connections and continuous hope. 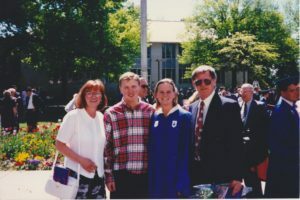 I look back at that day the week before college graduation when I heard the words, “You’ve had a stroke.” I see my frazzled Mom arriving in my Washington, DC hospital room after an emergency rushed flight from Rhode Island. I remember all the friends who stopped by the hospital to bid me well even as they were on their way to our Booze Cruise Senior Week celebration, which I was supposed to be attending. 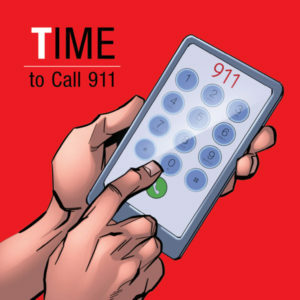 I recall walking into the tan, sterile Emergency Room alone and noticing the sign listing the stroke symptoms- and realizing that I had all of them. I remember the friends who dropped me at the hospital and sat with me through the procedures and terrifying news. 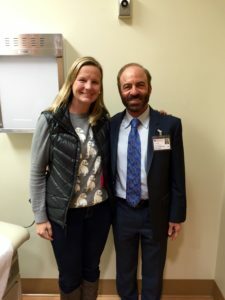 Mostly, I recall the fear of a stroke diagnosis, the throbbing pain of my headache and numbness of my left side, and the awful spinal tap (performed by a student doctor who had never done one before and missed my spine three times!) which diagnosed my stroke. I also embarrassingly remember how naïve and optimistic I was about my life before that day and still struggle with that sense of loss. Until that point in my life, I had always worked hard to be an overachiever. I always gave it my all in sports, studied hard and received almost straight A’s in school and worked throughout school to be financially sound. I even worked really hard at having fun in college. I didn’t have a passion or purpose but know I was set up for success. I was ready to jump into the business world and give it my all. I literally had a start date ready at Andersen Consulting. I even had a tentative life plan…work a little while at Andersen Consulting (hopefully traveling to see the country) and then go get my MBA. I had California in my mind for that. I assumed I would get married one day and have a family. I never planned to be a stay-at-home Mom but I would be a good Mom. I just had this plan that I was ready to tackle life and have fun. I didn’t even know it at the time but those dreams went out the window on May 7, 1997 with my stroke diagnosis. I mourn this loss- still to this day. I do a lot of wondering what could have been, should have been or might have been. However, I am older and wiser so I know that life happens while you’re busy planning. God had a different plan for me and despite kicking and screaming against it, I am living His wonderful, perfect plan. I have learned that I am exactly where I am supposed to me. My life is just what it is supposed to be. I am married to an amazing husband and have two kids who literally make my heart burst (with joy most of the time…;) I don’t have a career but I have a fulfilling, passion filled life that I have created despite my limitations. My life of advocacy and volunteerism has more meaning than I could ever have dreamed of. I am here for my children; I help other survivors and patients; my story inspires others facing adversity; and I most importantly, I am here. Twenty years ago I never would have believed you if you told me that I would go on to have four strokes, two brain surgeries, two rare disease diagnosis, chemo, menopause, trouble speaking, occupational therapy and many TIAs …but also a wonderful, loving family of my own, a safe nice home and fun beach house with my parents, a “job” where I get to speak to hundreds of people, a blog, a non-profit organization, life experiences through travel and the best friends and family I can ask for. I don’t say this all to brag, but to remind myself that life is good. I mourn the loss I experienced twenty years ago yet appreciate the ride that life has given me. It hasn’t gone as planned but with acceptance and patience, I am living God’s will and cautiously celebrating twenty years of overcoming! February is American Heart Month: a month dedicated to raising awareness of heart disease and stroke. Heart disease and stroke cause 1 in 3 deaths among women each year, killing approximately one woman every 80 seconds. I know facts and statistics are important- even imperative to funding research, educating the public and developing drugs to assist patients. Yet, my primary interest and what I like to share is the people who are effected by cardiovascular disease. And sadly, there are plenty of them. 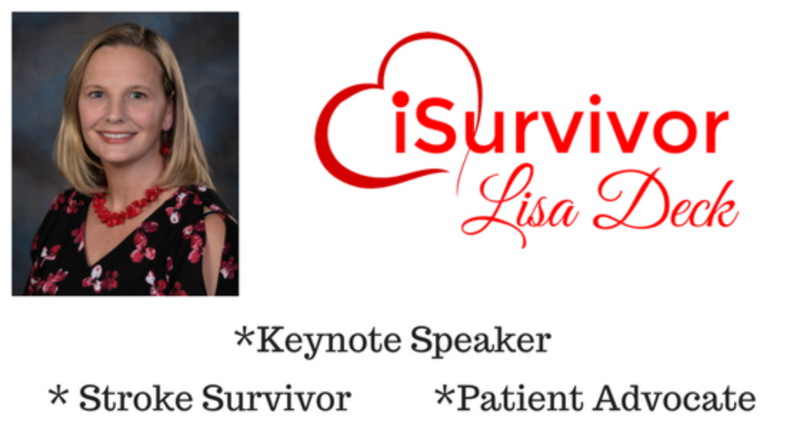 Since personal health stories are most impactful, I’m thrilled to announce an exciting initiative for my ISurvivor Lisa Deck Facebook page this month. 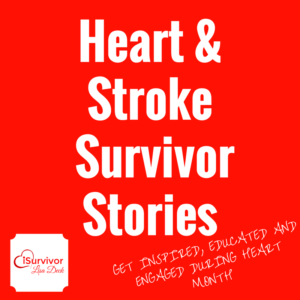 Thirty days of Heart & Stroke Survival Stories to inspire, educate and get you engaged in the conversation during Heart Month! I’m continuously amazed at the strength, resiliency and passion of cardiovascular and stroke survivors and caregivers. Clearly, with incidence numbers so high, there are many people affected by these diseases…I’m fortunate to know an army of the most dedicated ones. 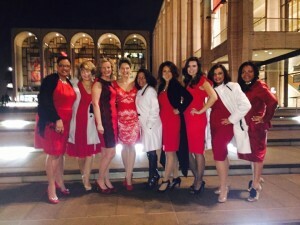 Serving as a longtime volunteer with the American Heart Association, I have made meaningful connections with many volunteers and advocates, and have ultimately learned that I am not alone. I’ve lost much from four strokes, two brain surgeries and a rare disease diagnosis, but gained even more: perspective, inner strength, a deep faith, unconditional family & friends and a network of peers who have overcome similar obstacles. I’m thrilled to introduce you to some of these incredible people over the next month. Please check out www.facebook.com/ISurvivorLisaDeck daily in February! I reached out to my friends and network of people involved in the “Heart World” and am thrilled at so many quick and enthusiastic responses. Please learn about these heart heroes and the difference they are making. I truly believe in the harnessing of positive energy through shared connections. These heroes are just living their lives but ultimately making our communities better by sharing their challenges and victories. Happy Heart Month! Please don’t forget to Wear Red & Raise Your Voice on National Wear Red Day – Friday, February 3, 2017. 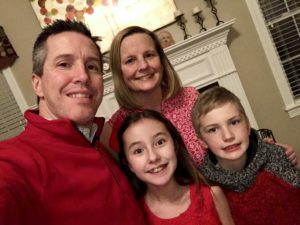 Please use the hashtag #GoRedWearRed and tag me (@ISurvivorLisaDeck) in your pictures. Like I did last year, I hope to make a collage of all the people who are going red and making a difference! For me, it’s a loaded question that I have struggled with for many years. Mostly because I am a four time stroke survivor who most recently underwent two brain surgeries within a week on the West coast. I struggled between being the positive, happy person that I usually am and stating the truth of my hardships. I soon learned how to handle it especially once I recovered. This question can be trickier when tough times happen during the holidays. However, in the past three weeks, my life is more like a bad movie. My son was very ill with stomach pains, a fever, and nausea which led to a diagnosis of acute appendicitis. 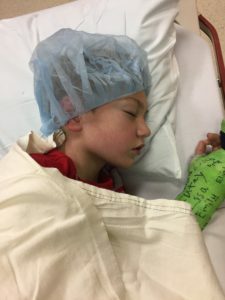 Within a day, we went from a doctor’s appointment to an Emergency Room visit to an ambulance ride to Mass General Hospital for an emergency appendectomy at 11:30pm that night. At each of the first two locations, doctors suspected constipation but our aggressive advocating for Zack led us to the correct diagnosis. Thank goodness we didn’t go home and just watch him. Twenty-four hours later we were home with a recovering, brave boy who now needed to avoid all physical activity (sports, gym and recess) for a month. But he was well and recovering. At the same time, my husband found a suspicious lump in his groin. 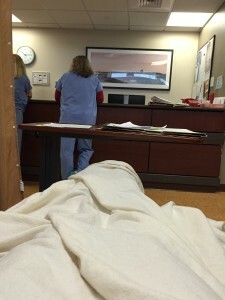 On the same day as Zack’s surgery, Brian had an appointment with the primary care doctor. (He thankfully insisted on keeping the appointment.) Within the next three days, Brian underwent an ultrasound that questioned cancer. We then saw two urologists who eased our mind a bit. We scheduled surgery four days later to remove the mass a week later. Surgery went smoothly but Brian still had to recover. Immediately post-surgery, the renowned surgeon and expert pathologists didn’t think the mass looked malignant. Despite an uncomfortable recovery, we had a lovely albeit low key Christmas. 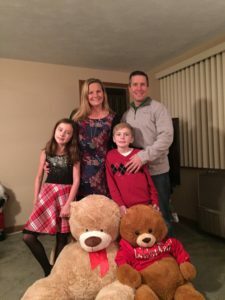 Two days after Christmas, Brian went to his post-op follow up appointment in Boston (alone as we didn’t suspect anything) and heard some shocking news. The pathology report indicated that there were cancerous cells and Brian was advised to make an appointment with an oncologist. I cried a ton as I was truly worried that he would die. What we read didn’t say this but it was hard not to go to worst case scenario. It was a terrible week!! When people asked me how I was doing that week, I could barely answer. Terrified. About to cry. Worrying about what life would be without my husband. Wondering why we have to face more adversity. (Yet thankful that I am well enough to do so.) Unable to focus on anything. Angry that our family may need help again. Pleading with God for a good outcome. I never thought we would come out of our Tuesday oncologist appointment feeling relieved that Brian has lymphoma. Yes, he has Extranodal Marginal Zone Non-Hodgkin’s Lymphoma. It’s a shock to both of us that he has cancer. Fortunately we were relieved this lymphoma is highly treatable and generally non-life threatening. Whew! We rode home from Boston anxious to hug our kids and relieved that he would live. I’m journaling here are Target and have run into a couple people I know. 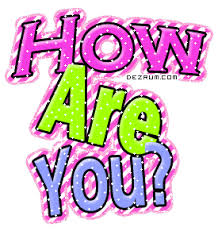 I’ve gotten the casual “How are you?” question. I smiled and said “fine” to one person but opted to explain to a couple others. I know this can be much worse but it still stinks. Zack has recovered and is back (earlier than expected) to physical activities. Brian is recovering from his surgery and will undergo a PET/CT scan as well as more labs next week followed by another oncologist appointment. 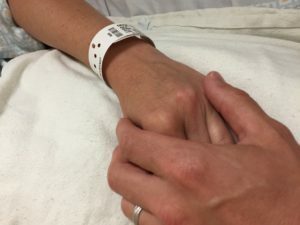 My husband has cancer. Yes, it’s treatable and generally not life threatening, but it’s a new reality for us. I’m a bit overwhelmed, relieved and anxious for what the next couple of weeks will bring. My husband is my #HeroOfOptimism for his unwavering support and calmness during the most tumultuous year of my life. 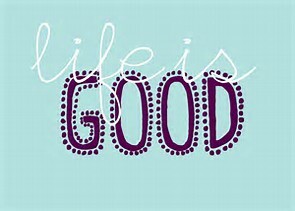 While perusing Twitter and FaceBook last week, I noticed a #LifeIsGood post asking people to share their Heroes of Optimism. I immediately thought of my calm and positive husband, Brian. He isn’t a fan of personal publicity but I would like to share this with my friends and family. 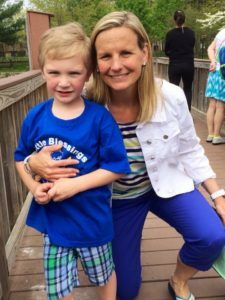 Just over a year ago, as a 39-year-old mother of two, I suffered a fourth stroke. 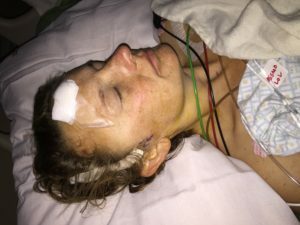 I had suffered three strokes in my early twenties and underwent debilitating treatment. Fortunately, I had been living a somewhat normal life for fourteen years when my fourth stroke occurred. After my last stroke, I was shocked to be diagnosed with a new rare brain disease, Moyamoya disease. There is no cure for Moyamoya but treatment is brain surgery I soon learned that I would need not just one but two brain surgeries. 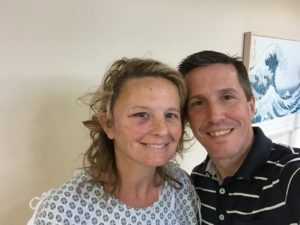 With the help of my husband, we made the courageous decision to travel across the country to a premier neurosurgeon for bilateral brain bypass surgeries. With two children under ten, Brian was dedicated to maintaining a normal routine and life for them. Brian balanced his stressful career and being a full-time caretaker to me while keeping life consistent and positive for our kids. 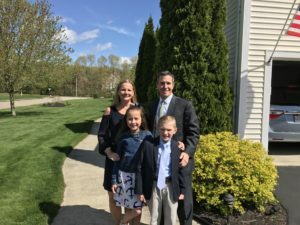 On top of being his usual involved father, Brian seamlessly took on the role of husband, mom, employee, boss, public relations consultant, advocate, confidant, counselor and family CEO. I was facing the battle of my life and had much anxiety and fear going into two brain surgeries. Brian remained calm and reassuring at all times- to me and the children. He selflessly devoted himself to my well-being, care and comfort before, during and after my 8 and 10 hour surgeries (one week apart.) He supported me when I had speech issues, making me signs to carry in case I needed to communicate. He held me when I needed assistance walking. He bathed me, managed my medications and pain and (literally and figuratively) did all the heavy lifting and caring for me and the children. Brian remained positive and confident in me and my course of treatment the entire time. He let me discuss my fears but always provided positive thoughts and optimism. He hugged me, held my hand and reminded me always that I would overcome these challenges. 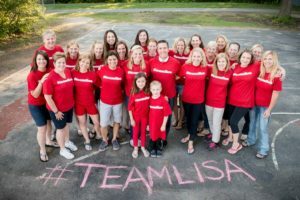 Brian, with the help of family and friends, created #teamlisa. Through my three weeks away, Brian religiously updated #teamlisa via social media. Not only was he my light of optimism and positivity, Brian provided that information and security to my family and friends around the country. Brian wasn’t in my life during my early health challenges, but I’m so thankful he was here for me during this latest, scariest one. I was able to stay positive and overcame a stroke and two brain surgeries thanks to my husband, Brian. He is my #HeroOfOptimism. Today is a day of reflection. It marks the end of May (which was stroke awareness month) and leads into tomorrow which is the first anniversary of my first brain surgery! I’ve looked back at the notes, messages and support from last year at this time and I’m just overwhelmed with emotion. I thought I would take a moment to review what I’ve learned during this past year. I hope my reflection serves as a Thank You to all of you who supported me AND reminds you to reflect on such lessons in your own life. I have learned that I am braver than I thought. 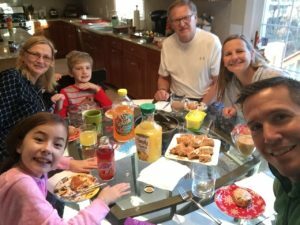 When faced with the tough decision of undergoing two brain surgeries, I made the decision firmly and with determination….and a little help from my friends and family. I was terrified but knew this is what I needed. Now, a year later, I see that it was the right decision. I don’t have the right words to adequately express how much and meaningful support I received this past year. My family, friends, community, old classmates, old teammates, my kids’ school, Brian’s work, American Heart Association colleagues…the list goes on and on. I truly think that I had the biggest army of supporters ever 😉 I could write a book about ways to help somebody going through a tough time only because I experienced such amazing acts of kindness firsthand. Thank you #teamLisa. I will never forget what you did for me and my family. I learned what anxiety feels like and how challenging it is to live with. Pre-surgery, I was fiercely optimistic but had many anxious thoughts and what ifs about dying. Post surgery, I was afraid to get back to life and didn’t have trust in my body. Losing my speech and suffering from TIAs were super scary. I felt nervous and anxious to do simple things like school pick up. I still have some anxious thoughts but I have come along way. I have gained a new understanding of people who suffer with anxiety on a regular basis and have become more empathetic. I have been a volunteer for the American Heart Association and the American Stroke Association for years but this past year has given me a new story to share with others. In just the past few months, I have been positively rewarded with various opportunities to use my experience for good. 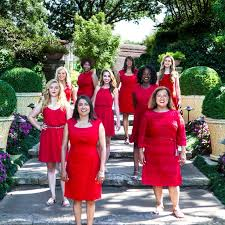 I served as a keynote speaker at the Go Red for Women luncheon in Boston and even filled in as a Passion Speaker at the Providence Go Red for Women luncheon. I flew to Atlanta to be part of the #StrokeHero campaign photo shoot and I was featured as the face of Alex and Ani’s Wings of Change stroke awareness bracelet. I also became involved with a new cause, my new disease, Moyamoya disease. Never have I seen such a devoted group of patients,caregivers and doctors as I have found in the Moyamoya Facebook community. I was honored to represent this disease population when I attended Rare Disease Week in Washington DC. I have lobbied at the State Level to increase awareness of Moyamoya Day and also hosted a small party for other local patients. Being able to take part in these activities and giveback has given me a new sense of purpose and a reminder of how amazing I feel when helping others. The most important lesson I have learned is recognizing what is important…which is love. I am blessed with tremendous, unwavering love from my family and friends. I didn’t need to test that strength…but life-threatening illness will remind you how important you are to someone. May each of you find such deep, thoughtful and compassionate love and friendship in your life like I have. Today is World Moyamoya Day! 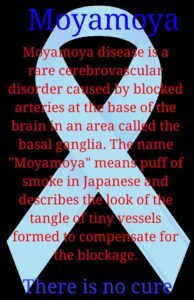 I first learned about the word Moyamoya just over a year ago after suffering my fourth stroke. Unfortunately, I learned that Moyamoya means “puff of smoke” in Japanese because the blood vessels in my brain looked like this during an angiogram. After my diagnosis, I learned that there is no cure for Moyamoya disease but that the recommended treatment is surgery. Last June, I underwent two brain surgeries (a week apart) to augment the blood flow in my brain. Fortunately, despite some speech difficulty, pain and much anxiety, I had successful surgeries. I owe so much to my fellow Moyamoya warriors who supported me virtually (and in person) to get through my ordeal. Since my surgeries, I have become a vocal advocate for raising awareness of Moyamoya disease. 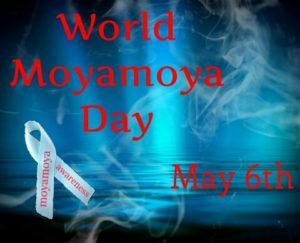 While not quite official, Moyamoya patients have started a movement to declare May 6th as World Moyamoya Day! I am proudly taking part in the day this year and asking all of you to take a minute to educate yourself. According to the Stanford Moyamoya center, Moyamoya is a disease in which arteries in the base of the brain are constricted, restricting blood flow. Fragile blood vessels proliferate around the blocked artery in an attempt to bypass the blockage. Without surgery, the majority of individuals with Moyamoya disease will experience mental decline and multiple strokes because of the progressive narrowing of arteries. Without treatment, Moyamoya disease can be fatal as the result of intracerebral hemorrhage (bleeding within the brain). I consistently focused on this fact leading up to my decision to undergo surgeries. Despite it being a terribly difficult decision. I know I had to have surgeries! Fortunately, I had the support of family and friends that allowed me to travel across the country for almost a month to have my surgeries with the most experienced, best adult neurosurgeon in the country. Thank you again, #TeamLisa and Dr. Steinberg! Knowing what was to come with a progressive disease, I was anxious to have the surgery and pleased that all went as expected. It was certainly a challenging, scary, anxiety-ridden, painful time but now just 11 months later, I am well. 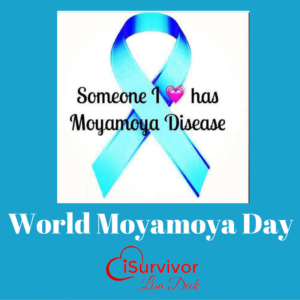 Today, I join with other Moyamoya warriors to raise awareness and count our blessings. I’m so fortunate to have been connected to the most supportive group of patients I have ever met. Since there are so few of us in the United States (Less than one in 100,000), it was so comforting to have people to speak with before, during and after the surgeries. Making the correct diagnosis seems like the most problematic part of Moyamoya Disease. If a patient suffers too many strokes, surgery may not be an option. Raising awareness of this disease and educating patients, EMS, hospital staff and doctors of this disease will ultimately lead to more correct diagnosis and better treatment. Help us help others! Today, I will spend some time reflecting on my good fortune to be on this side of surgery. I am thankful that someone was able to diagnose me correctly with this disease. I am lucky my surgeries went well. I am fortunate to be feeling strong and finally emotionally stable. I am blessed to have a community of other Moyamoya warriors. Pease join me in recognizing World Moyamoya Day! 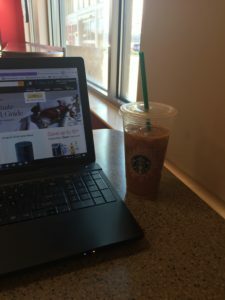 Author lisadeckPosted on May 6, 2016 Tags education, life, Moyamoya, Rare disease, recovery, stroke, writingLeave a comment on Today is World Moyamoya Day! As I looked at the symptoms listed, I was suffering from most of them. I had no idea that stroke could happen to anyone. I soon learned that stroke doesn’t discriminate. Since that moment, I have become a huge advocate for creating awareness of stroke symptoms. I suffered the same symptoms a year ago which brought me to Rhode Island Hospital. As you likely know, this began my Moyamoya journey. Through my diagnosis with a rare brain disease and bilateral brain bypass surgeries across the country, I accidentally provided much inspiration to many of you. This month, I plan to honor my goal to educate you about stroke and Moyamoya. 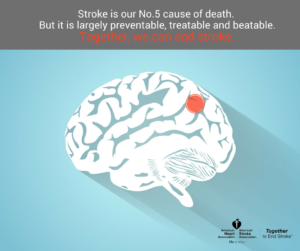 Please read this information provided by the American Stroke Association carefully! 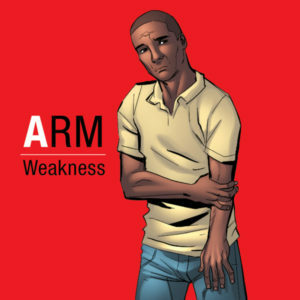 This information is taken from the American Stroke Association’s Stroke Hero campaign. Fortunately, I was asked to be a part of the stroke hero campaign….so stay tuned this week for more information. Please learn these symptoms and take action quickly if you ever experience them! Learn more about stroke at www.strokeassociation.com. Flashback…What would the angiogram show? I laid on my stretcher at Rhode Island Hospital waiting for my cerebral angiogram. I had been laying there for three hours since my procedure was running late due to some complications of another patient’s procedure. My nerves were on fire and I was very thirsty, hungry and impatient. Peter, the goofy male nurse, tried to joke with me to keep the atmosphere light but all I wanted to scream at him was “Give me the meds!” I knew that the two medications the doctors planned to administer would take the edge off and deliver me to a “happy place” 😉 These medications would allow the doctors to perform the angiogram procedure which was what had me very worried. My husband and my Mom were at the hospital but couldn’t be with me during this wait. Alone, I struggled with keeping my mind off of the negative feelings. Luckily, I was a distracted by the constant poking, tucking, covering and positioning that the nurses kept doing in preparation for my procedure. 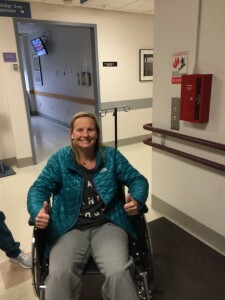 Eventually I was wheeled into the operating room since it was almost time for my procedure. 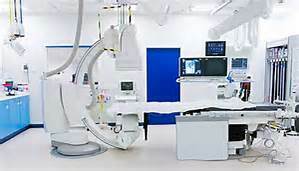 The neuro-interventional radiologist who would be performing my upcoming procedure, Dr. Jayaraman, appeared out of seemingly nowhere. I often compare his quick appearing ability to the butler in the movie Mr. Deeds…”Sneaky, sneaky.” I knew he was coming to discuss my old MRI films with me. I still have a collection of the big yellow and white envelopes filled with my black and white MRI films from 2001-2009. Many hospital staff members commented on the films as I walked through the hospital with them. Today, MRI results on CDs or flash drives. I truly looked like a dinosaur walking through the hospital with the big envelopes. Dr. Jayaraman jumps right into his analysis of the films…”So, you have Moyamoya. It’s apparent on your films that you’ve had Moyamoya for a long time. 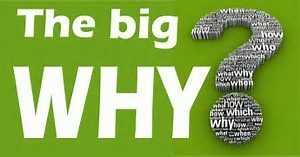 Your first infarct happened prior your new stroke which isn’t consistent with Vasculitis….” He continued but I stopped listening there. It was 1:00pm. I had just been told after 18 years that I have a new disease. I have never been so shocked- EVER! That’s all I remembered until I woke up alone in the recovery area about 1.5 hours later. I woke up thirsty- extremely thirsty. “May I have some water?” I whispered. One nurse finally brought me a glass of water. However, since the patient next to me was obviously suffering from complications, I was relatively ignored. I drifted in and out of sleep. “Oh my…That diagnosis. Didn’t Dr. Jayaraman tell me I had Moyamoya disease? Was that a dream?” My thoughts started to plague me again. He jumped right into an explanation which I couldn’t focus on since I was worried about someone being with me to hear all this. Somehow, Brian sensed my need and appeared to listen to this life-changing news. Dr. Jayaraman reiterated that I have Moyamoya Disease. (Still shocking to hear!) He proceeded to discuss next steps which included a meeting during rounds on Monday to discuss my case with my neurologist and a neurosurgeon since it’s so rare. He explained what Moyamoya is and how it’s very rare. He also mentioned the possibility of sending my films to Stanford where the premier Moyaymoya surgeon can review. He explained that he did his residency at Stanford in the Moyamoya Center- which is why he easily recognized this rare disease. He delivered one final shocking blow: “I think you are a good candidate for a brain bypass.” Brian and I were in complete and utter shock. What?? Brain surgery?! Dr. Jayaraman was convincing and reassuring. Surprisingly I was left with a feeling of calm determination. Yes, brain surgery is scary but if it can lead to a better brain, why not? He also explained the risks and how it will make sense to do one more test before surgery. There was more information that we listened to but somehow I felt relief. Yes, I was petrified about what the future help but Dr. Jayaraman’s confidence despite delivering me a shocking diagnosis left me feeling calm. I was relieved to know and have a plan to move forward. These results weren’t what I expected coming into my angiogram. But thankfully, I had experience in knowing how to stay strong despite scary, unexpected news. This is something I would need to rely upon going forward. 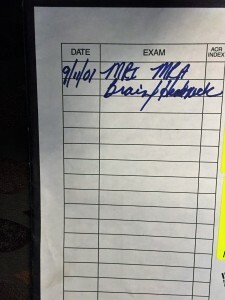 Author lisadeckPosted on April 7, 2016 Tags feelings, flashback, life, Moyamoya, stroke, survivorLeave a comment on Flashback…What would the angiogram show?